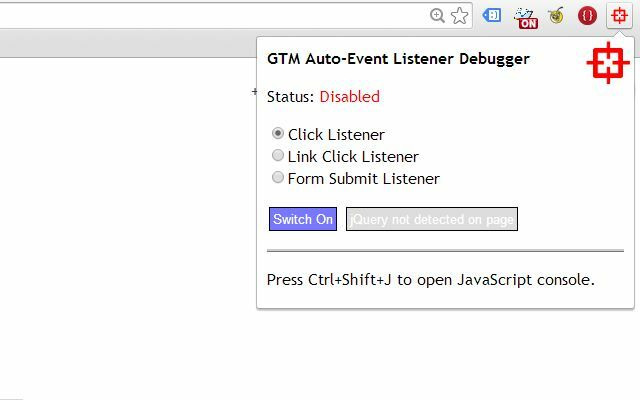 I updated my Chrome Extension, GTM Auto-Event Listener Debugger v1.1. I released the first version a couple of days ago. 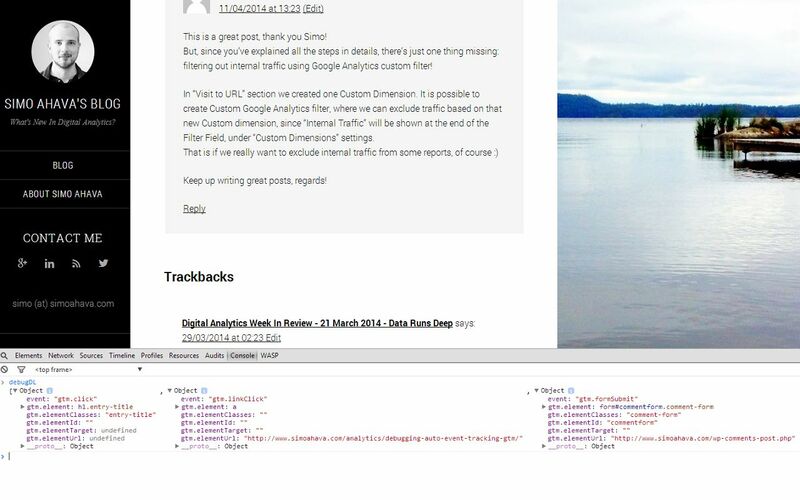 The extension can be used to debug Google Tag Manager’s auto-event tracking and its compatibility with web page markup. I did some major changes, and here’s the rundown. I transferred all debugger actions into a pop-up, which opens when you click the Browser Action. The debugger is still tab-specific, so it can have different states in different tabs. Also, The Browser Action still turns green when the debugger is enabled for current tab. 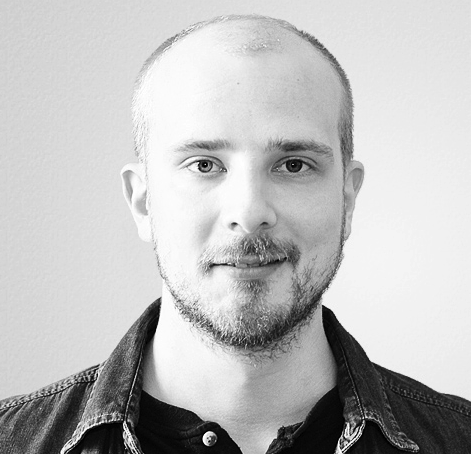 I added a switch with which you can kill all jQuery binds on the page. The switch is only available if jQuery is found on the page. When you click the switch, all jQuery handlers are cancelled. The idea behind this is that by killing the event handlers, you can verify if jQuery is preventing the listeners from working. I did this simply because more often than not this has been the problem. The switch can be used just once. 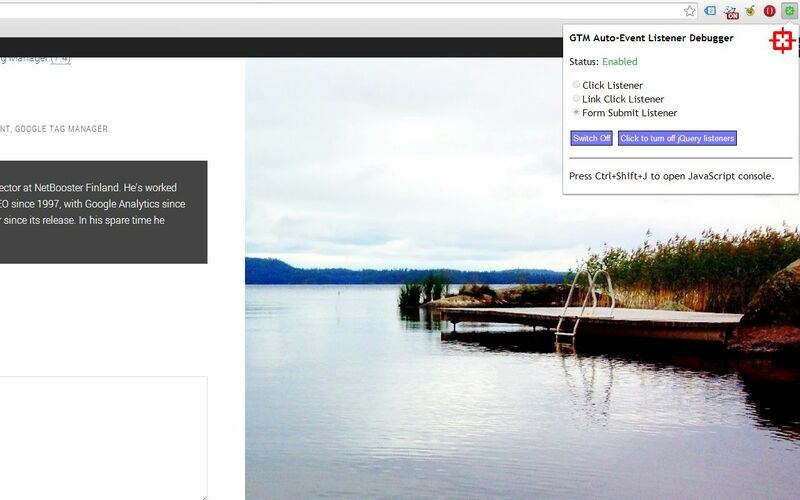 To get the event handlers working again, you need to reload the page. Be sure to download the extension here, and read the release notes. I’ve added a short bit on version history into the release notes (along with more detailed instructions), so you can now follow the development cicle as well. Let me know if you have any improvements in mind.